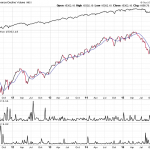 SPY – WHEN WILL THE GAP BE FILLED? A superquick update on the current SPY price action. This year, we have only one unfilled gap on SPY. This unfilled gap is a runaway from ~202 to 212 without any major pullbacks on the road. However, lately all gaps have been filled sooner than later. Also this last pullback is missing the “double bottom” seen on 1h chart. Volume with the move looks good though and also MA20 is beginning to point north as I write. Currently I see good edge for both testing a short position (perhaps not right now at this level) and going long with a stop @ gap up open or somewhat below 204 bottom or @ hourly MA20. 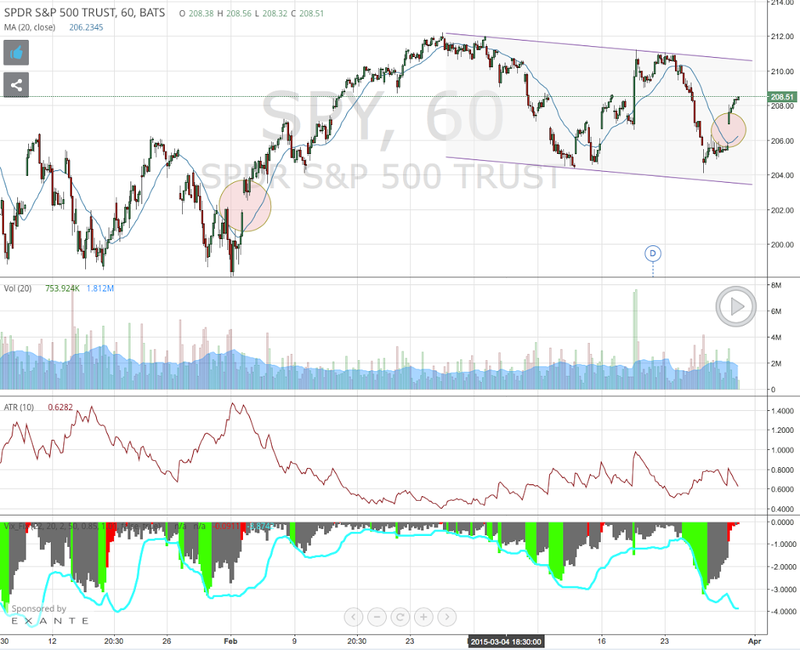 If you missed the train, look how SPY pulled back to hourly MA20 in February after the runaway gap earlier. Expect a similar event now. I’m in the bull camp as long as gap is not closed, or we go below hourly MA20. I’m not confident it will blow the roof though, and sceptic it will go directly above the drawn channel.